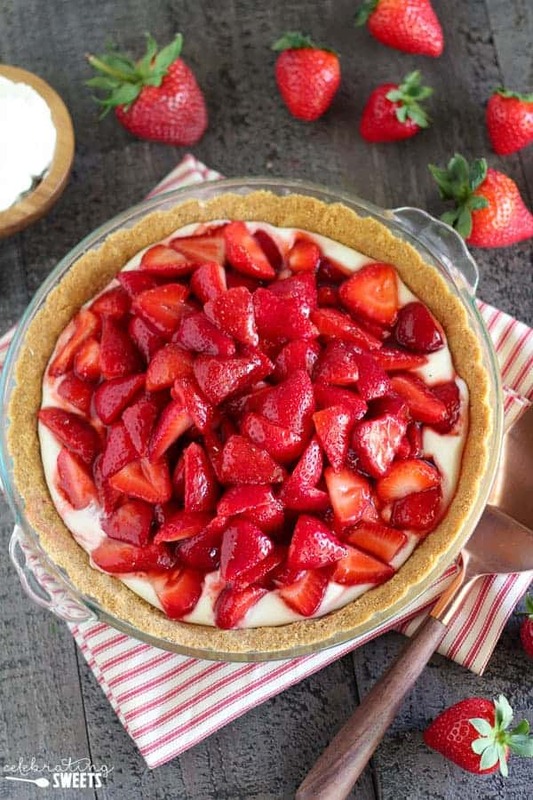 Strawberry Cream Cheese Pie – A buttery graham cracker crust filled with sweetened cream cheese and topped with a mountain of juicy fresh strawberries. 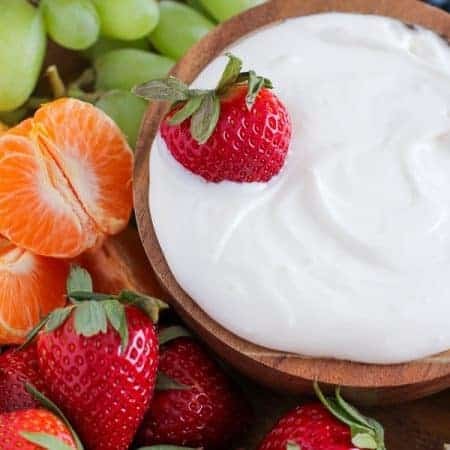 This gorgeous no-bake pie is the perfect spring or summer dessert. VIDEO BELOW! This is the story of how three adults ate nearly 3 whole pies in 5 days. Friends, send help. And stretchy pants. When I decided to make a fresh strawberry pie I had some criteria that needed to be met. 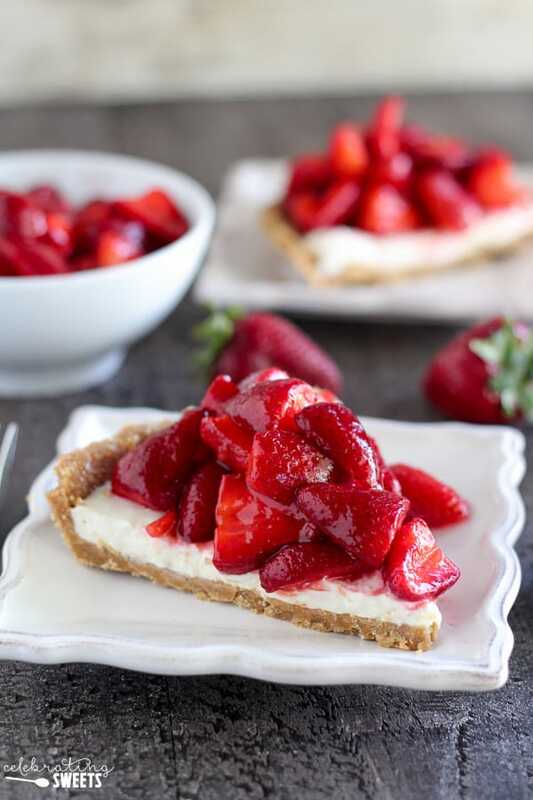 I wanted the pie to be no-bake, with a graham cracker crust, a thin layer of cream cheese, and piled high with fresh strawberries. 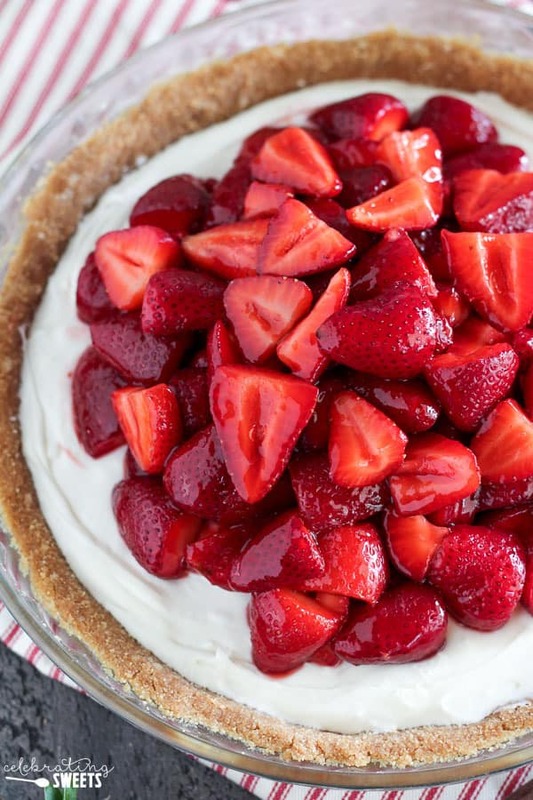 This pie is all about the strawberries. It took a little bit of (delicious) trial and error for me to get this pie exactly how I wanted it. First attempt: Tasted great, but the crust didn’t hold together, and the cream cheese filling was too thin. Second attempt: Still tasted great, the filling was right on, but the crust still needed a little work. So now my belly is happy, my pants are too tight, and I have the perfect recipe for strawberry pie. Side note: If you need me I’ll be at the gym. For like a week. 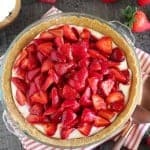 The strawberries are the star of this pie! I avoided using any type of glaze or strawberry gelatin, which is typical in a strawberry pie. Most of those glazes and gelatins contain artificial colors and artificial flavors. I couldn’t bear the thought of smothering my beautiful fresh strawberries with dyes and fake flavorings. Instead I toss the strawberries with a little strawberry jam. This gives the strawberries a glossy look and adds a little sweetness. 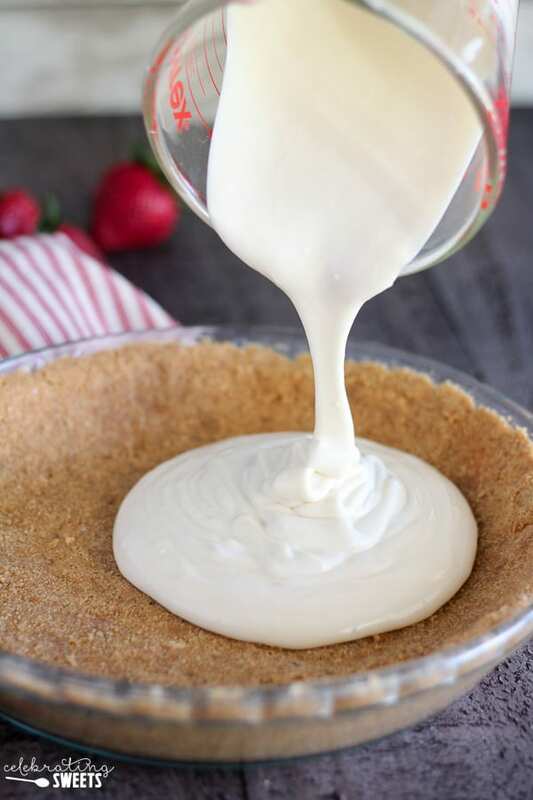 I call this a no-bake pie because the filling and topping are both no-bake. I find that the slices of pie hold together better if the crust is baked prior to filling, but baking the crust is not completely necessary. If you don’t want to use the oven, you can skip baking the crust (see recipe notes), but when you slice and serve this pie, the crust might be a little more crumbly. I hope this pie makes its way onto your spring and summer table. Enjoy every bite! 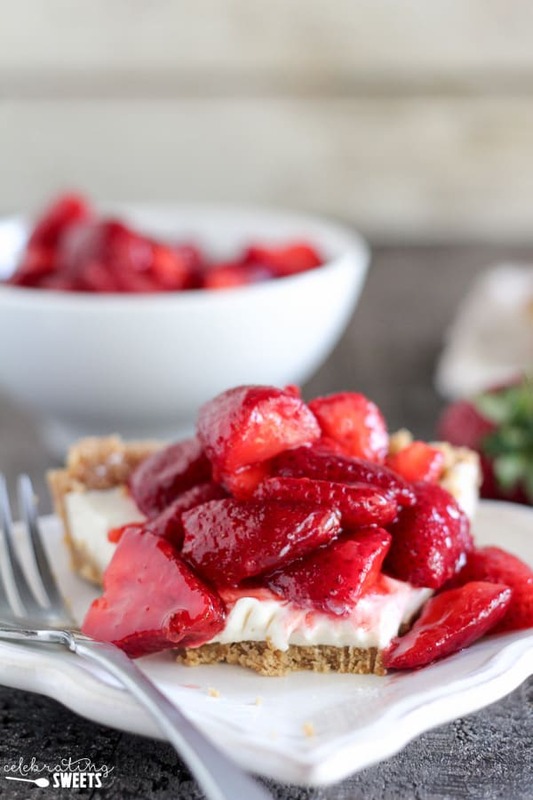 A buttery graham cracker crust filled with sweetened cream cheese and topped with a mountain of juicy fresh strawberries.This gorgeous no-bake pie is the perfect spring or summer dessert. Preheat oven to 325°F (or see notes for no-bake option). In a large bowl, combine graham cracker crumbs, sugar, and salt. Add the melted butter and stir until combined. Dump the mixture into a 9 1/2 inch pie plate. Press it into the bottom and little more than halfway up the sides of the pie dish. I use the bottom of a drinking glass or measuring cup to help pack it in. Bake for 8-10 minutes, until golden and fragrant. Set aside to cool. 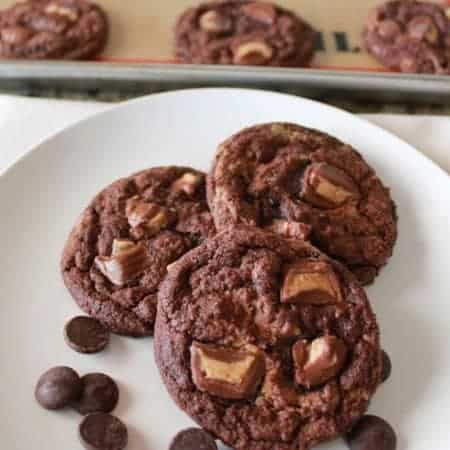 Using a hand mixer or stand mixer, beat cream cheese until smooth. While continuously beating, slowly add sweetened condensed milk and then vanilla extract. Add powdered sugar and beat until smooth. Pour into the cooled crust, then tightly cover and refrigerate until firm, at least 3 hours or up to overnight. In a large bowl, combine strawberries and jam/preserves. 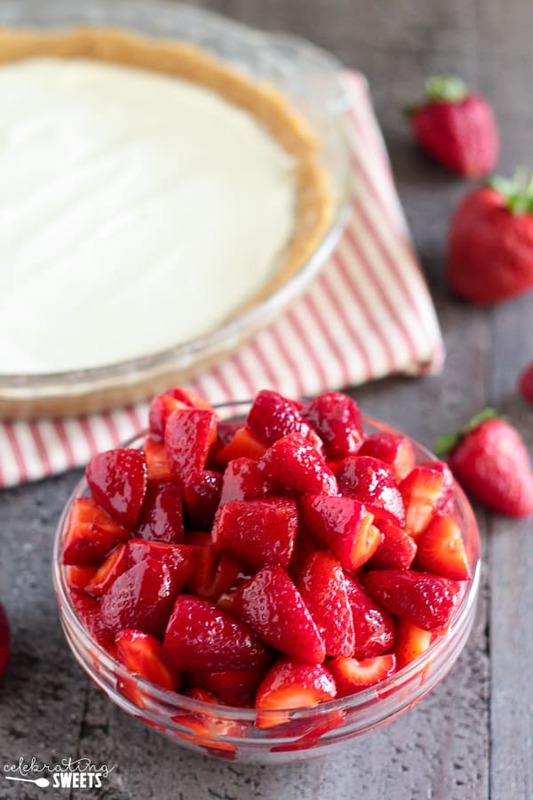 Place half of the strawberries on top of the pie. After placing a slice of pie on a plate, scoop additional strawberries onto each slice (it's easier to cut and serve this way). 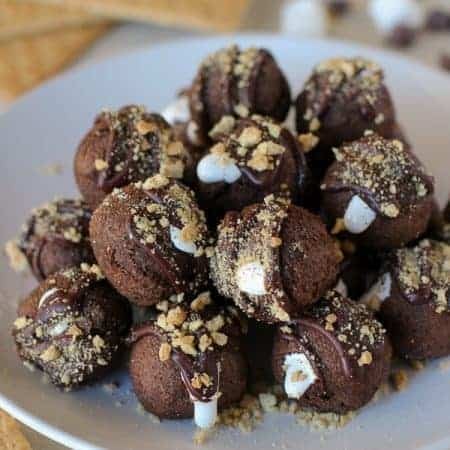 If you'd like to make this recipe completely no-bake, you can skip baking the graham cracker crust. Just freeze the crust for 1 hour before filling. If you do bake it, the slices of pie will cut cleanly and be more stable. I prefer baking the crust, but it tastes delicious either way! Very very delicious.😋 I will definitely add the strawberries during serving next time. I found that they became weepy on top of ythe pie during refrigeration. Had to use a store bought crust. Will not do that again. Otherwise, super !! I’m so glad that you liked it. Thanks for stopping by! This is So good!! There will never be another strawberry 🍓 dessert around my house! The kids and adults love this!! Yay! I’m so happy to hear that. This recipe is one of my all times faves. Thanks for stopping by! Do you think adding chopped pecans to the crust would change the texture or make it crumble? Hi, Lynne. I would guess that you could add up to 1/4 cup chopped pecans without needing to make any other changes. I would recommend grinding up the nuts with the graham crackers in a food processor. Enjoy! Finally a strawberry pie with no gelatin in it! been searching for a while. Thanks for the recipe and I WILL be making it as soon as strawberries peak in store. I Have 2 pies in the fridge now! I bought crusts but, they seem like they will be amazing! I can’t wait to try some in a bit! Thank you for the recipe! this is AMAZING =] thanks for sharing! We are spending the summer in Vermont in our RV on our daughters property. We have an amazing u-pick organic farm next door. I had a flat of strawberries we picked yesterday with our grandchildren and I needed a no cook recipe. I stumbled onto your site and am so glad I did! I bought the crust (my RV oven is not great for baking) and I only had natural no sugar raspberry jam, but otherwise I followed the recipe. It was perfect and delicious! I’m so happy to hear that. Thanks for taking the time to stop by. Enjoy your summer! Thanks for sharing your adaptations – they sound delicious. I’m so happy to hear that you enjoyed this. Thanks for taking the time to stop by! I made this pie and placed the pie in the fridge overnight. When I sliced it, it was su runny, like the pie didn’t set right. I had a wonderful flavor though. I think I might have either used too much condensed milk or let the cream cheese soften too long in too warm of a temperature. I plan on making this pie again because my family really enjoyed it despite the runny filling! The crust was excellent and, as an addition, I put whipped cream on top of the pie. I will make it again this weekend and update my post if the pie turns out as it should have. Thanks for the recipe!! I’m glad that you liked it! The filling should set so that you can cut a clean slice. Too much condensed milk will definitely make it too runny. Best of luck next time!